U.S. President Barack Obama delivered the commencement address at the United States Military Academy at West Point, N.Y. on Wednesday. The address was the first in a series of speeches that he and top advisers will use to explain U.S. foreign policy in the aftermath of conflicts in Iraq and Afghanistan, and lay out a broad vision for the rest of his presidency. 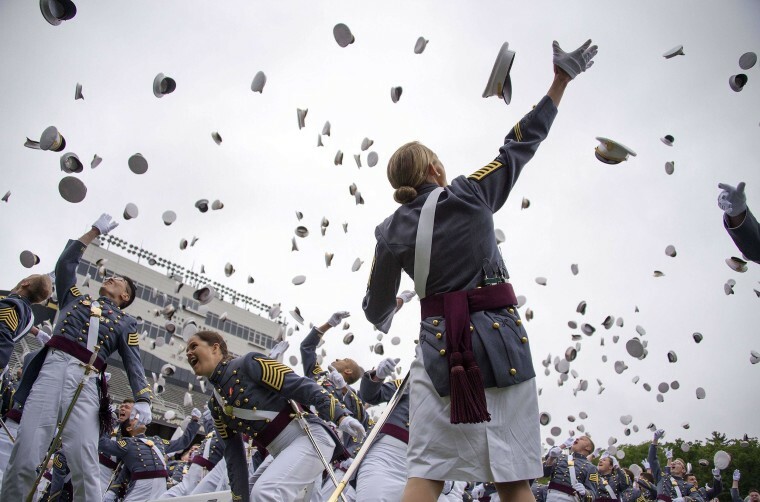 In the photo above, members of the 2014 graduating class throw their covers in the air at the end of Wednesday's ceremony.